A simple Reflective A-frame sign is one of the best ways to get any message, from advertising to directions to safety in the day and night, across at any large indoor or outdoor event. We’ve got the right one for you at an affordable cost. 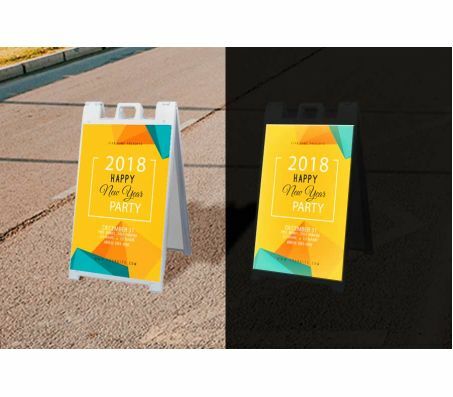 Not only do we offer a reasonable price and fast turnaround (we offer same-day printing and shipping, conditions apply), but we offer reflective vinyl sticker displays for your A-frame sign that can easily be replaced with a new vinyl sticker as needed. This allows you reuse the same signs over and over from event to event, thus saving costs in the long run. It also allows you to swap the sticker, not the sign, in the event of damage. Displays easy to replace vinyl sticker. Simple A-frame signs are easily stored and ported from place to place, and the vinyl stickers will stand out. You can get your advertisement messaging across, or use these signs to direct guests to the proper place at an event. 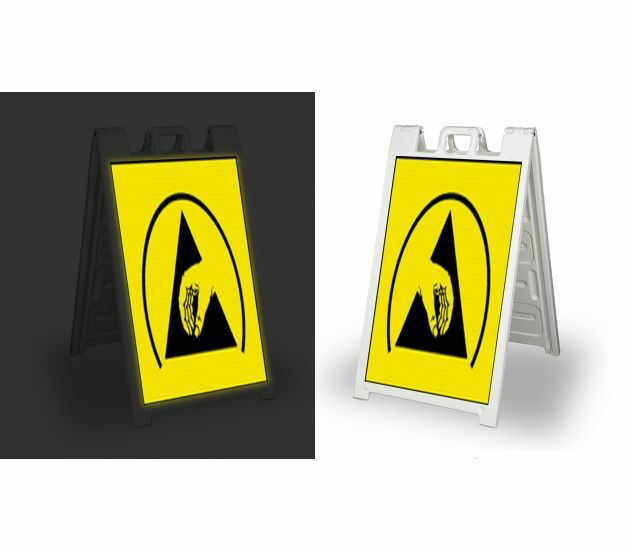 They can even be used to creatively promote safety for event guests, from displaying “wet floor” indoors to “drive slow, pedestrians crossing” in the parking lot. Quality, durability, affordability and fast turnaround and shipping are 777 Sign’s hallmarks. When you buy from us, you’ll have a smooth and fast experience.